The domestication of a plant or animal species is the acquisition and transformation of hereditary behaviours and characteristics through contact with man, whether by prolonged interaction or by a deliberate process of selection. Domestication and artificial selection have made it possible for man to acquire useful helpers (mounts, beasts of burden, carrier pigeons), food (grown and raised species) and, later, pets. 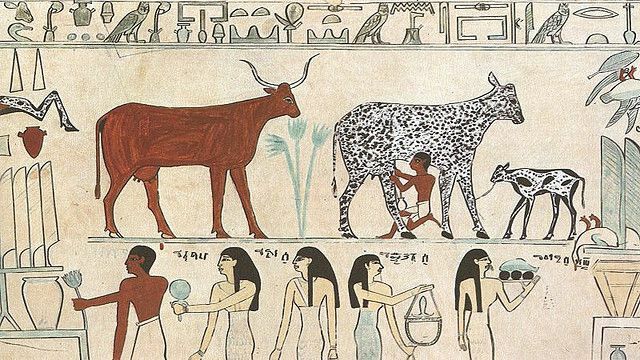 Domestication and artificial selection have allowed humans to acquire useful helpers (mounts, beasts of burden, messenger pigeons), food (cultivated and raised species) and, later, companion animals. Not all species are suited to domestication, some have provided man with his greatest victory (the horse) and his best friend (the dog), others have been failures (ostriches, zebras, etc. ).